Meet all the key players in the world of A Discovery of Witches with this handy character guide! Tomorrow, tomorrow, we’re only a day away from A Discovery of Witches *EXCITE* Friends, the entire first season will be available on Sundance Now (AMC Networks’ direct-to-consumer SVOD service) and SHUDDER (premium streaming service for thriller, suspense, and horror) at/around midnight on Thursday, January 17, 2019. The series opens with the supernatural world in crisis. Matthew Clairmont, a vampire and geneticist, and his colleagues discover that witches, vampires, and daemons are becoming extinct. However, rumor has it that a book at Oxford’s Bodleian Library, Ashmole 782 (AKA the Book of Life), holds the key to solving this problem. It turns out the book has been bewitched so only Diana Bishop, a visiting historian and witch, can access it. 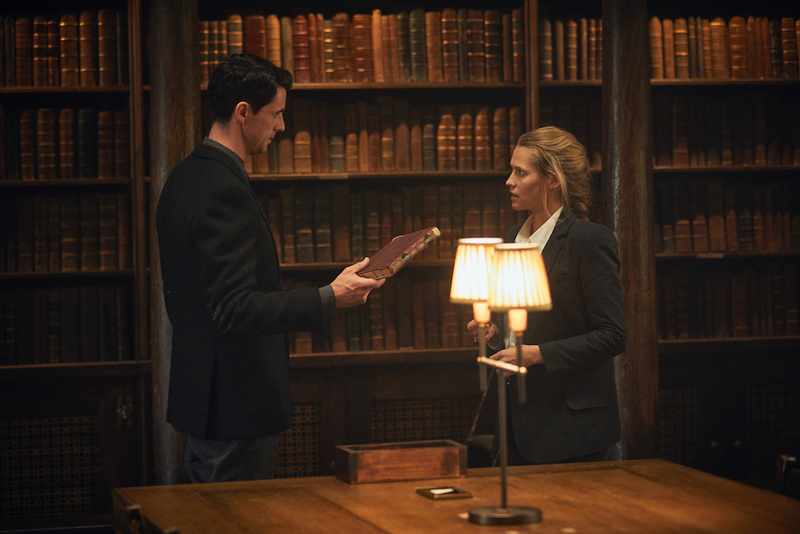 As antagonist forces descend on Oxford in order to get to Diana, she and Matthew are forced to team up to uncover the truth of the three species. 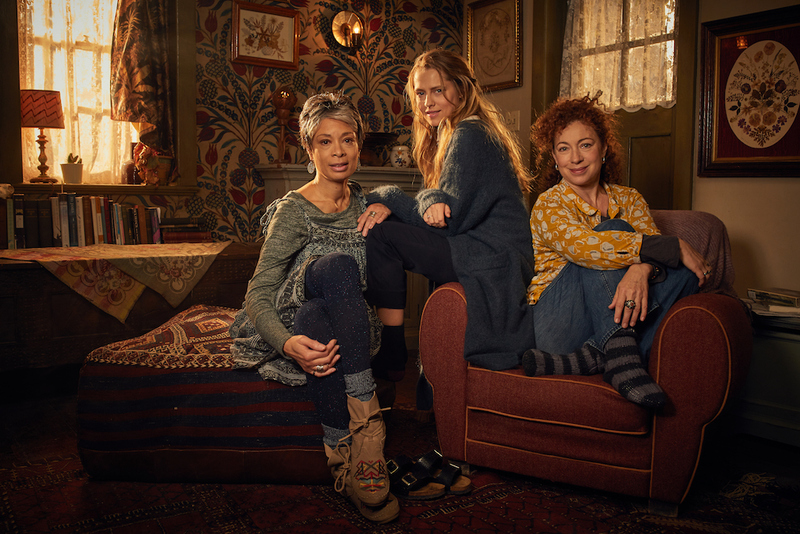 Thanks to our friends at AMC/Sundance TV, we have a character guide to share in order to learn more about the world of A Discovery of Witches… Deborah Harkness is such a genius! Check it out below and make sure you also take a look at several interviews with Teresa Palmer (Diana Bishop) and Matthew Goode (Matthew Clairmont), Owen Teale (Peter Knox) and Elaric Johnson (Juliette Durand), and Alex Kingston (Sarash Bishop), Greg McHugh (Hamish Osborne), and Tanya Moodie (Agatha Wilson), as they tell us more about the series and what fans can expect! About Witches: Witches’ bonds to their family and their local covens are important. They are rooted in their communities and have a deep sense of place. Witches have a wide variety of powers – some are spellcasters, some have elemental powers, but they all have strong personalities and are non-conformists at heart. About Daemons: Daemons are searchers, always longing to find their own kind. They live in their vibrant imaginations and appear quirky to outsiders – they don’t follow fashion trends, they create them. Daemons find rules boring and unnecessary and are often on the experimental edge of culture. When it comes to their favourite interests, they can focus more intensely than anyone and they are sometimes gifted with prophetic visions of the future. About Vampires: Vampires have strong family bonds and prize loyalty to family above all else. They are hierarchical and obedience to the leader of the pack isn’t up for discussion. Unlike daemons they follow the rules (well, the vampire code of law and order, that is). They avoid being centre stage, preferring solitary occupations where they can hide in plain sight and they are possessive in love – when they choose a ‘mate’ the commitment will last centuries. Diana Bishop (Teresa Palmer): Smart, independent and contrarian, American Diana Bishop is a brilliant young historian and a descendant of the famous Bishop witches. The brutal murder of her parents when she was a child led her to renounce the world of magic and focus on what she was good at: academic study and rational thought. Determined to be ‘normal’, Diana forged a starry career in the history of alchemy and science. But the moment she opens a hidden magical manuscript in the Bodleian Library and meets Matthew, the vampire who’s been searching for it for centuries, Diana is catapulted into a dramatic journey of discovery – of her family’s hidden past, her emerging powers, and her newly awakened heart. Matthew Clairmont (Matthew Goode): Matthew is a complex knot of contradictory impulses and desires. A poet, a healer, a scientist, a spy, a warrior, an assassin – all of these titles have belonged to Matthew over the course of his very long life. He has several vulnerabilities, including his anger, arrogance, and a profound quest for redemption and forgiveness. At one moment a dangerous and deadly fighter, he is at the same time nurturing and protective, a gentle man who yearns to be a father and have a family of his own. Matthew has loved many women and is a faithful, somewhat obsessive lover. He has never mated… but Diana Bishop may change all this. Sarah Bishop (Alex Kingston): Aiana’s aunt, Sarah Bishop is descended from the first witch executed at Salem. Sarah is proud to be a Bishop and enjoys a respected place among witches because of her name and blood lineage. She has a temperamental nature, a famously short fuse, is intensely loyal and has a long-standing addiction to coffee. Her prize possession is the Bishop grimoire, the family’s ancient spell book. Where her partner Emily is thoughtful and measured, Sarah is a firecracker who says exactly what’s on her mind. Emily Mather (Valarie Pettiford): Sarah’s long-term partner, Emily Mather is maternal, nurturing and deeply insightful. A witch with a talent for scrying and visions, Em is often the peace broker in the house, her honesty and compassion encouraging Sarah and Diana to face difficult truths. Em has a family secret she has kept since the death of Rebecca, her best friend. She uses that knowledge to understand Diana’s unlikely relationship with Matthew and to guide her. But when the secret comes out – and it must – there are explosive repercussions with Sarah, and their relationship is tested to its limits. Juliette was ruthlessly trained to infiltrate his enemies, the de Clermonts, making that the sole focus of her life. But she has never lost hope that, one day, the profound love she has carried will give her back something precious she lost. Gerbert D’Aurillac (Trevor Eve): One of the most esteemed, clever and feared vampires, Gerbert is a brilliant schemer, whose plots unfold over a long span of time. This makes his manoeuvring almost impossible to track unless you are even older and wiser than he is – and there are few creatures who can make that claim. Gerbert desires the triumph of vampire culture over daemons, humans, and witches. He knows there are only two obstacles to his rise to unchallenged power: the witches and the de Clermont family, whom he’s loathed for centuries. The only thing more ferocious than his intelligence is his ambition. Those who underestimate him learn, to their cost, that he is one step ahead of them. Always. 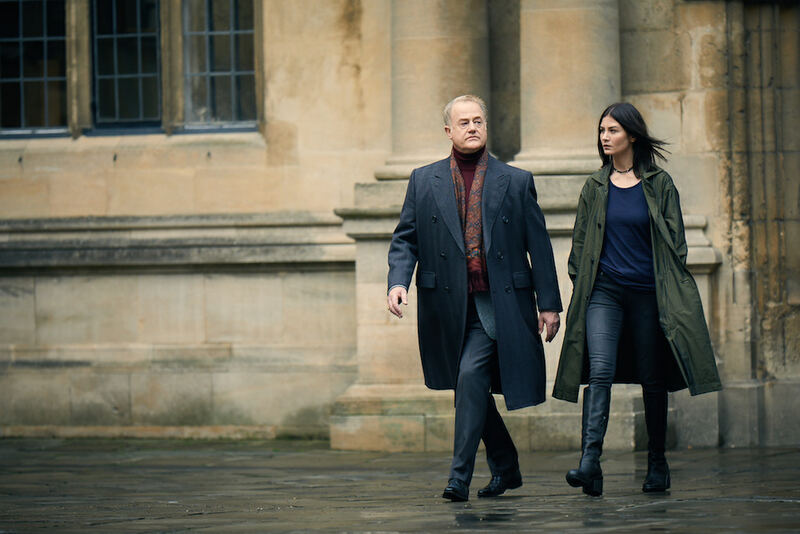 Peter Knox (Owen Teale): Peter Knox is a witch of great ambition and considerable skill. Intensive study and practice have made him a powerful and highly regarded spellcaster, but it’s his philosophy of creatures that makes him a leader among witches. With a profound loathing of vampires, Knox believes witches should be at the top of the species food chain. He has risen to the highest echelons of witch society, occupying a seat on the Congregation representing his fellow witches worldwide. But a gnawing insecurity prevails – he always feels there is something just out of his grasp, and has dark secrets he will protect at all costs. Gillian Chamberlain (Louise Brealey): Gillian presents herself to humans as a perfectly respectable, if slightly dowdy, college lecturer in Greek history, who’s forever hoping to become a professor. Where Diana keeps herself apart from other witches, Gillian is an enthusiast, whose ultimate ambition is to rise through the ranks of the Oxford coven. Gillian is a staunch supporter of the Covenant, which forbids inter-species relationships, and believes that vampires are no better than animals. Hamish Osborne (Greg McHugh): Hamish Osborne is a genius. Everybody knows that. What most people don’t know is that he is a daemon. Born to working- class human parents, Hamish’s startling intellect and strong work ethic led him to Oxford University where he met Matthew Clairmont and the two developed a lifelong friendship. His loyalty is unquestioned, but he will speak his truth to Matthew, whether or not it’s painful to hear. Agatha Wilson (Tanya Moodie): A creative and successful woman who lives life on her own terms – Agatha doesn’t follow style, she sets it. She is warm and independent, a formidable mother, and a woman of great charisma. A member of the Congregation, she is an unusually focused and effective daemon. She finds vampire and witch superiority unacceptable in these modern times, and has an uncanny awareness of when Gerbert, Baldwin, or Peter are up to something – people underestimate her at their peril. Ysabeau de Clermont (Lindsay Duncan): Ysabeau de Clermont is one of the oldest vampires in existence – and certainly one of the cleverest. Known for her beauty and elegance, Ysabeau was mated to the legendary Philippe de Clermont. Ysabeau is fiercely protective of her family and her concerns are primarily for her beloved son, Matthew. Because Philippe was held and experimented on by Nazis and witches during World War II, Ysabeau once vowed to kill every witch she could get her hands on. So when Matthew asks her to help him protect Diana she is angry and conflicted. Steely, ferociously intelligent and deeply loyal, Ysabeau is the strong female core at the centre of the de Clermont clan. Baldwin Montclair (Trystan Gravelle): Trained to wield a sword from childhood, Baldwin Montclair had been imposing before becoming a vampire, and after his rebirth few dared to cross him. He is both head of the de Clermont family and holds a seat on the Congregation. Baldwin was made a vampire in Roman times and had been Philippe’s favourite. However, his step-brother Matthew has something Baldwin badly wants and believes their father should have bestowed on him by right – Grand Master of the order of Knights of Lazarus. 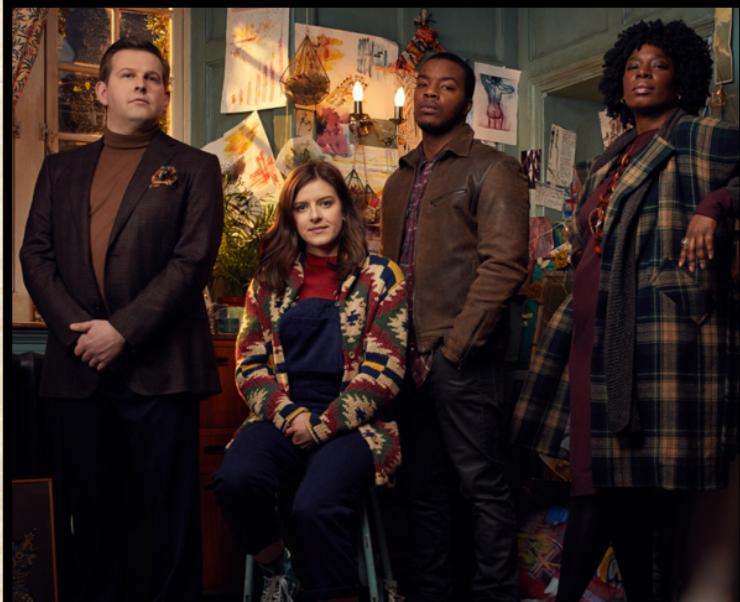 Sophie Wilson (Aisling Loftus): Sophie is a daemon – unexpectedly so, since her parents and most of her ancestors were witches. She carefully guards that information about her ancestry, believing that she somehow came out “wrong” and will therefore be shunned. Like many daemons, Sophie has an artistic sensibility and has many visions. She and Nathaniel are thrilled by the prospect of being parents, but are worried about what their child might be: human, daemon, or witch? Nathaniel Wilson (Daniel Ezra): The brilliant only child of Congregation member Agatha Wilson, Nathaniel is a friendly, outspoken and driven daemon. He is an attentive husband to Sophie, and will be a marvellous father. He opposes the Congregation and the covenant, a source of tension with his mother. Satu Jarvinen (Malin Buska): Satu Jarvinen is a powerful witch with a secret. A loner at heart, she has an edgy style perfectly in keeping with her independent and fearless demeanour. Born among the Saami people of Finland, Satu was able to work spells before she could read or even talk. Satu is drawn to Diana, recognising her as an uncanny version of herself. But Diana will become either Satu’s greatest ally, or most dangerous enemy. Domenico Michel (Gregg Chillin): Reborn a vampire in Venice in the early Middle Ages, Domenico Michele is a survivor. He competed successfully in the lethal world of the city’s politics during the Vampire Wars before the Congregation was formed. Domenico is still conducting his affairs according to his original rules: let the bigger fish eat each other, and wait patiently until the seas are empty and you can rise to the surface unchallenged. Strikingly handsome, Domenico is devious, charming and lethal. Miriam Shephard (Aiysha Hart): Unlike most vampires, Miriam Shephard is frank and honest, speaking her mind with passion and without fear. Though loyal to Matthew, she is not the least bit cowed by him or his lofty position. In part this is because Miriam is completely comfortable with who and what she is: a predator. Creatures, no matter who they are, need to earn her respect. Once they do, Miriam is an unshakable ally and friend. She is very much Matthew’s second in command and his watchdog, not only protecting his well-being, but Diana’s too. 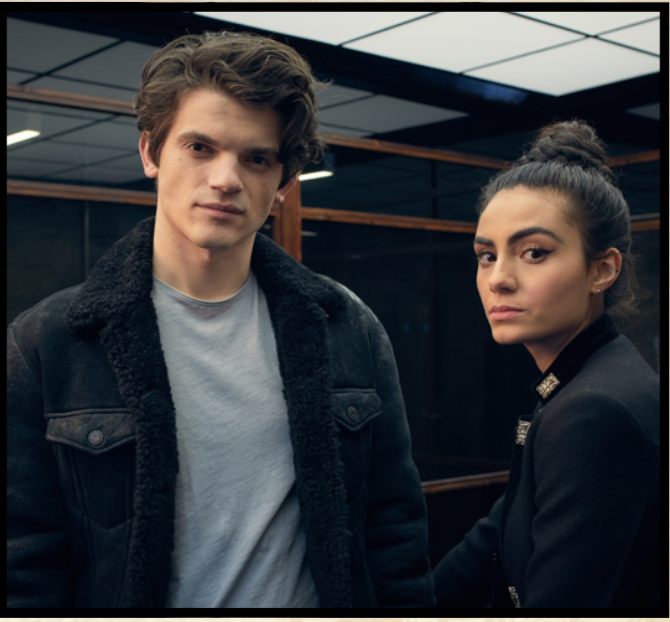 Marcus Whitmore (Edward Bluemel): Marcus Whitmore believes in honesty, freedom, and equality – even for humans. In that context, Marcus is a rule- breaker, a radical and a trouble-maker, but with a handsome, boyish charm. In 1781, Marcus was near death from fever when Matthew was moved to offer the young man a second chance: an eternal life as a vampire. Over the centuries, Marcus has found meaning in his life through medicine.